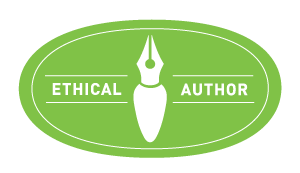 My Reading Year starts here – and I shall be uploading reviews of books as I read them. This was a great start – extremely enjoyable, despite the frequent POV and setting changes within chapters, (something I personally would avoid if at all possible) and definitely one for anyone who’d like to ‘experience’ life in 15th c Scotland. The term ‘Fire and Sword’ is a perfect description of the life and lifestyle of Scotland in the 15th and 16th centuries. This novel does a great job of depicting that reality, including the terrible consequences and the privations of ordinary people faced with the wholesale destruction of their homes and livelihoods in the name of family loyalties, yet without ever straying into gratuitous violence or overly graphic detail. Top marks, Louise Turner, for that. Top marks too for the depictions of the two main characters – John Sempill and Hugh Montgomerie, both of whom I found believable and flawed (as all good characters should be) but ultimately characters whom I could like. Disclosure: I too have written a novel including a Hugh Montgomerie as a main character. My Hugh is of the same family, but of a lesser status, and living some 100 years later, so perhaps I might be expected to harbour some sympathy for Turner’s Lord Hugh, but it is a testament to Turner’s skill that a character presented as having a fearsome reputation for violence and few friends, should nevertheless be so easy to like. So why am I giving this 4* rather than 5*? This is a reflection of my personal preferences and may not adversely affect other readers, but the one part of the story that didn’t appeal to me was the romance element, which I felt was written in a rather formulaic way and therefore didn’t sit well with the quality of the rest of the book. 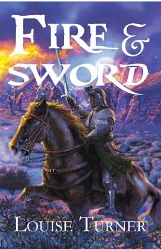 A slightly different treatment of this aspect and for me Fire and Sword would have been a 5* book all the way. I am, however, very much looking forward to the sequel. Thank you, Louise Turner for a very enjoyable read.